Many women who are diagnosed with breast cancer have extra financial burdens placed on them during treatment and recovery. Our grants typically pay for basic living expenses such as housing, transportation, food, and other essentials of daily living. 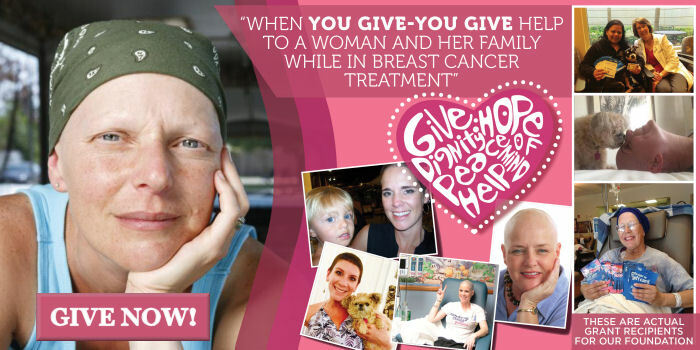 We are a local non-profit charity located in San Diego County helping women with breast cancer who reside and are undergoing treatment in the Southern California area. Shades of Pink Foundation Ca. (SOPFCA) grant applicants must be referred from an appropriate healthcare provider. Please do not contact us directly. If you are interested in our program, you should contact the health care professional where you are receiving care to assist you with filling out an application. If they have not worked with SOPFCA before, have your health care professional contact us so we can provide more information about our application process.